Pick up a few pieces of different types of leaves the next time you’re out at the park. Let your children be budding botanists as they explore the leaves. Equip them with magnifying glass to observe the parts of the leaf. Let them draw or trace the outline of leaf on blank piece of paper. 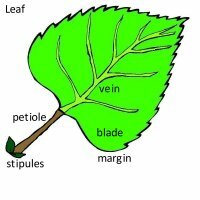 Then, label the parts of the leaf. This can also be done by colouring only certain parts, as shown in the diagram below. Let your children sort the leaves collected, for example by colour, size, vein pattern, texture, margin pattern etc. Garden Notes from Colorado State University Extension has comprehensive details on leaflet arrangement, venation, leaf shape, leaf structure etc if you would like to describe more to your children. Simple craft with leaf printing. The end product can be framed, used as bookmark or even as wrapping paper. 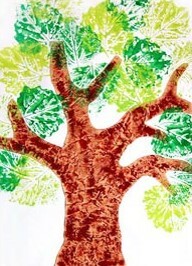 Here’s another idea for leaf print activity, Leaf Prints Tree. Another craft activity, but this is to preserve the natural dye of the leaves on paper. Taken from Instructables.com. Trim any chunky or squishy bits off of the plants and arrange them on the watercolor paper. You can tape them down if you would like, but make sure that the tape doesn’t get between the plant and the paper. Cover the plant with 2-3 layers of paper towels. On the paper towels, sketch the borders of the area you’ll need to hammer. Start by making small, even taps using the flat side of one of the hammers. This will set the flowers or leaves in place. Then go carefully over the entire area with a ball- or cross-peen hammer. Start by going in rows up and down (see the arrows in the previous picture), then do another pass from side to side. You’ll need to hit every single bit of the plant, so be patient. It can take a while. Peel back the paper towel to check your progress. If the pattern on the towel is filled in, then you’re probably done. If not, replace the paper towel and start again. When you’re done, peel away the leaf to reveal the print. If it sticks to the paper, just let it dry for a bit and you’ll be able to brush it off. 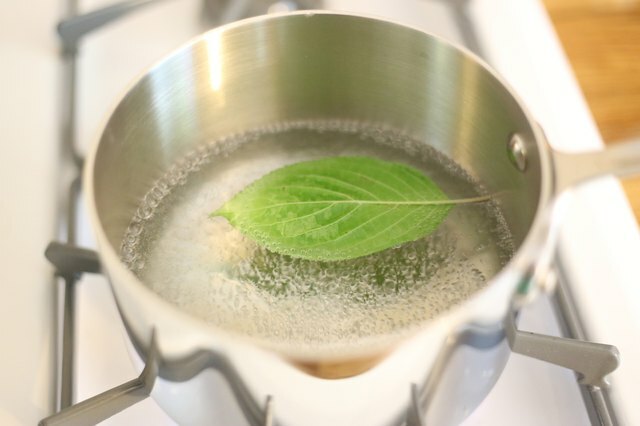 Place the leaf in boiling water for 2 minutes. Then, remove the leaf. 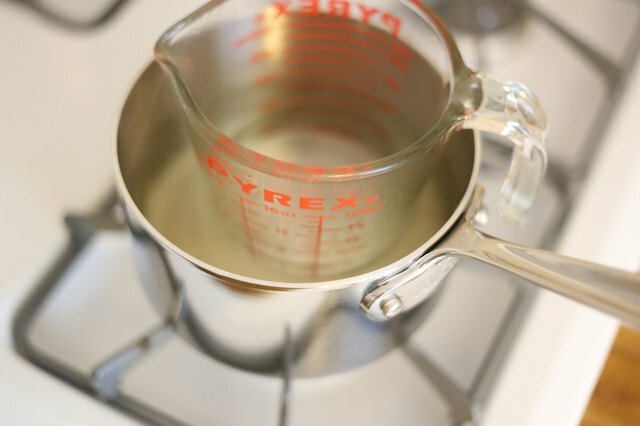 Place a heat-safe glass container in the a pot of hot water. Pour 1 cup of rubbing alcohol in the glass container. 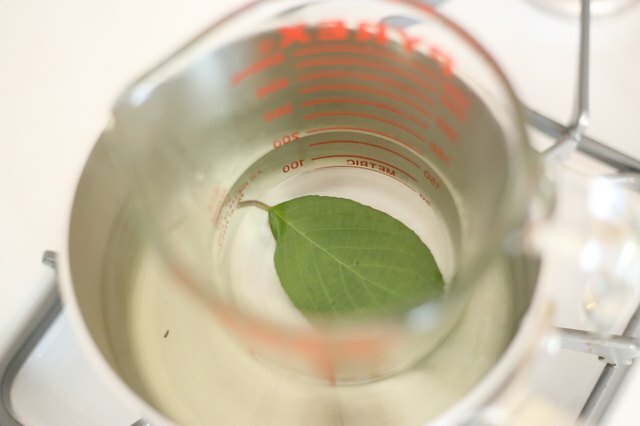 Place the leaf in the glass with the rubbing alcohol. Ensure that it is fully submerged. 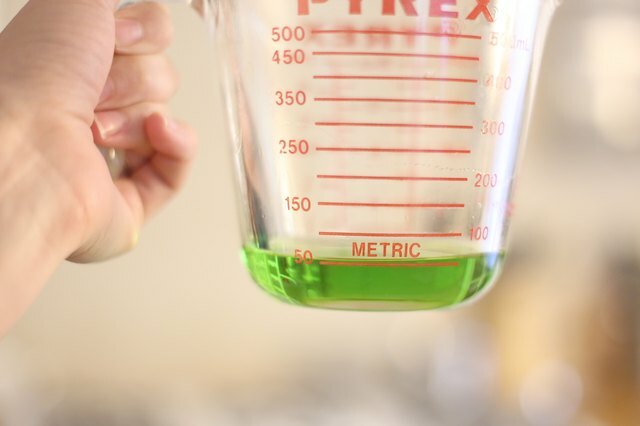 After an hour, the rubbing alcohol will turn green due to the chlorophyll.